Think of its beginnings! 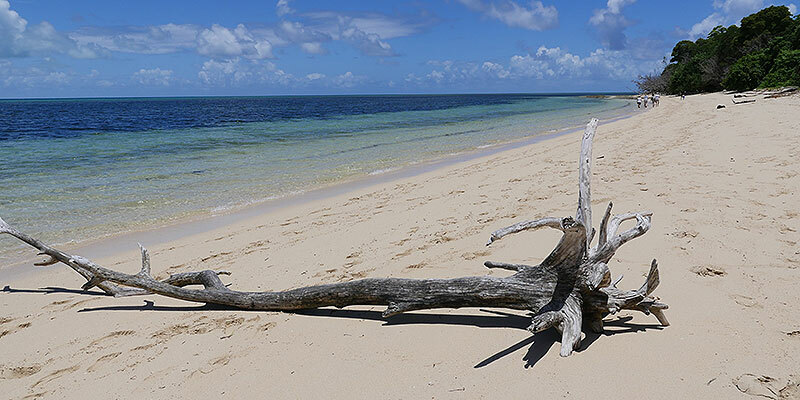 Green Island is a tropical paradise with very humble beginnings. Imagine sediment (dead reef, plant and animals broken down by physical and natural processes) deposited due to wave action into an unstable sand bank. Over time, this bank eventually rose above high tide forming a coral cay. Birds flew over or rested on the cay leaving their droppings full of seeds. The seeds germinated (initially low creepers and grasses, stabilising the cay) and later, once the soil was enriched by decaying organic matter, trees appeared, attracting more birds and droppings and well – life continued to grow from there – as you can imagine! So there you have it, a humble, unstable little sand bank evolving over about 6,000 years into a stunning green tropical paradise known today as Green Island – now not only attracting sea life but also human visitors! Where did Green Island get its name? You are probably assuming the island was named due to its lush green vegetation, but no! Captain Cook was the first European to sight the island during his journey up the east coast in 1770 and decided to name Green Island after Charles Green, his chief observer and astronomer-in-charge on the Endeavour. What is the Aboriginal connection? 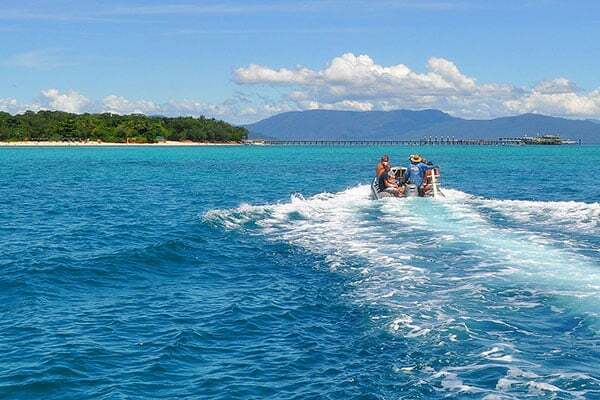 Green Island was also well known to the local Aborigines, who have lived in this area for thousands of years. The Gungganyji people claimed the island was haunted by spirits and brought their young men to the island for initiation. Today, they retain a strong spiritual connection with Green Island and have an active voice in managing it. 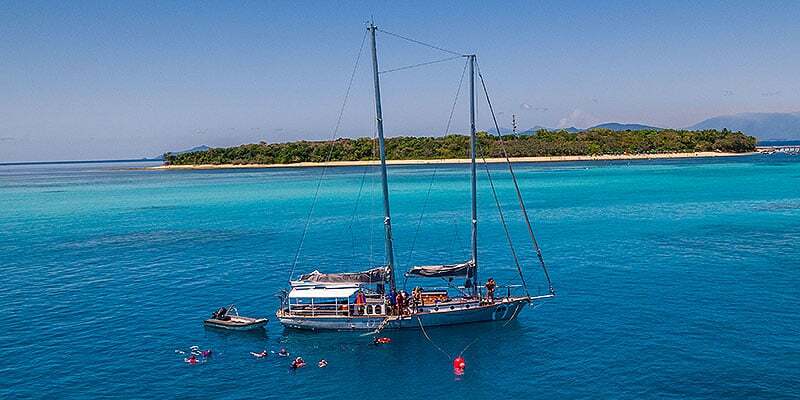 Due to its popularity, a resort eventuated on 1/3 of the island, leaving the rest of the island with its native vegetation and white, tropical sandy beaches. We provide afternoon transfers to and from Green Island and Ocean Free. This gives you time to explore this natural paradise. A series of boardwalks allow you to walk across the island with an “informative trail” to answer your questions (well, some of them at least!). 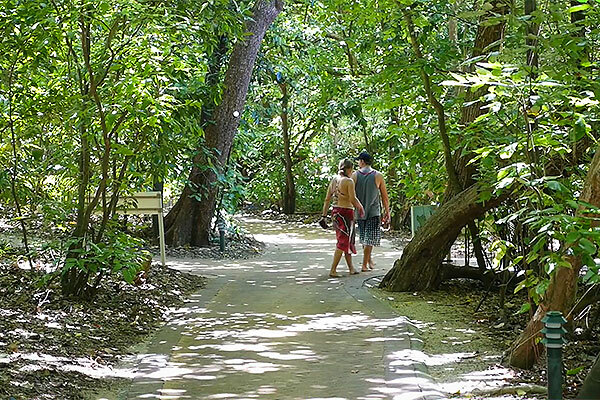 The boardwalk traverses the island’s rainforest interior and gives you a chance to see some of the local wildlife. 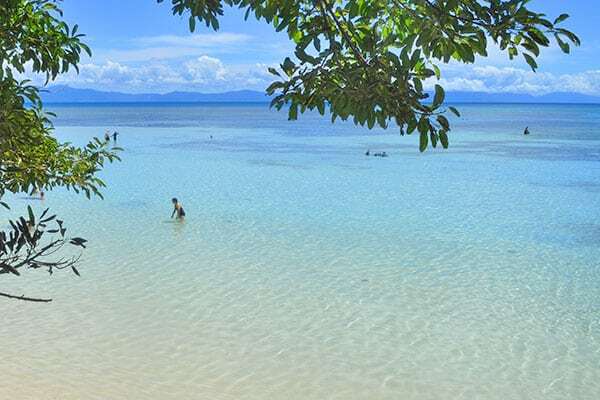 You can also walk around the whole island on its beaches (check the tides first) and look for turtles, blue spotted stingrays, schools of fish and many interesting shells and little critters. Watch the seabirds dive into the crystal clear water catching the plentiful fish. Today the vegetation of Green Island is quite diverse. 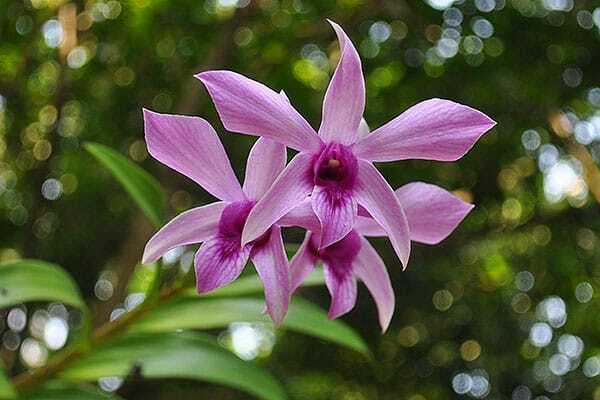 In fact, 134 species of plants have been identified here including orchids, trees, palms, vines, grasses, shrubs and more. Green Island has a closed vine forest reaching up to 25m in places. 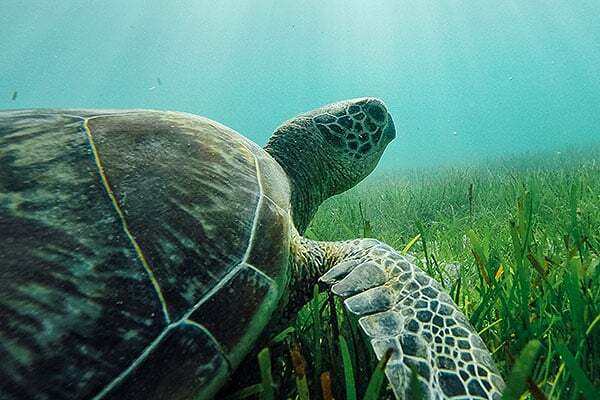 The shallow waters surrounding the island is full of seagrass, making Green Island a popular destination for sea turtles. You will often see them from the boat on Ocean Free. They can also be spotted swimming just off the island’s beaches. 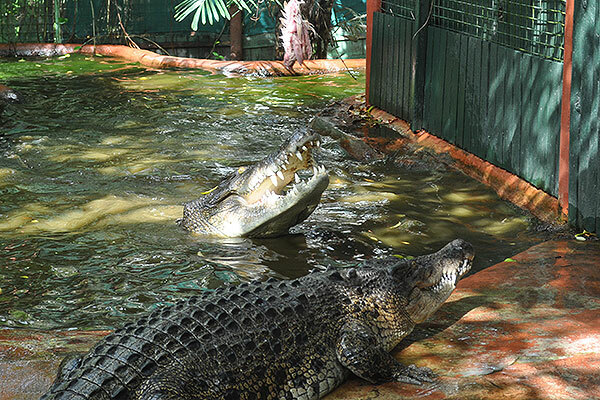 If you’re interested in crocodiles you can visit Marineland Melanesia, a small locally owned family business which is very popular. It not only has a croc feed (which fits in with Ocean Free’s schedule) but there’s lots of other marine life here too.